Having a nice cosy weekend in, the boyfriend and I were cooking dinner for my parents and we wanted to make a nice yummy pud. What better dessert to make for a family dinner than a nice apple crumble? It’s really simple and easy. It’s one of those things that tastes amazing but you forget how much you love it when you’ve not had it for a while, then one spoonful reminds you of it’s homely comforts. 2. Peel and core the apples. 3. Place apples in a saucepan with about an inch of water at the bottom. 4. 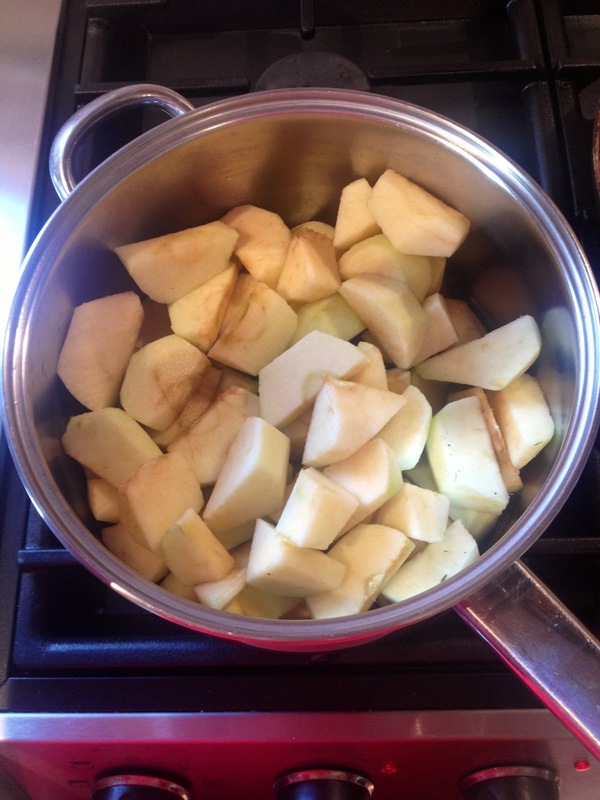 Bring to the boil then cover and simmer for 10-15 minutes until the apples have softened. 5. Mix the flour, brown sugar and cinnamon. 6. 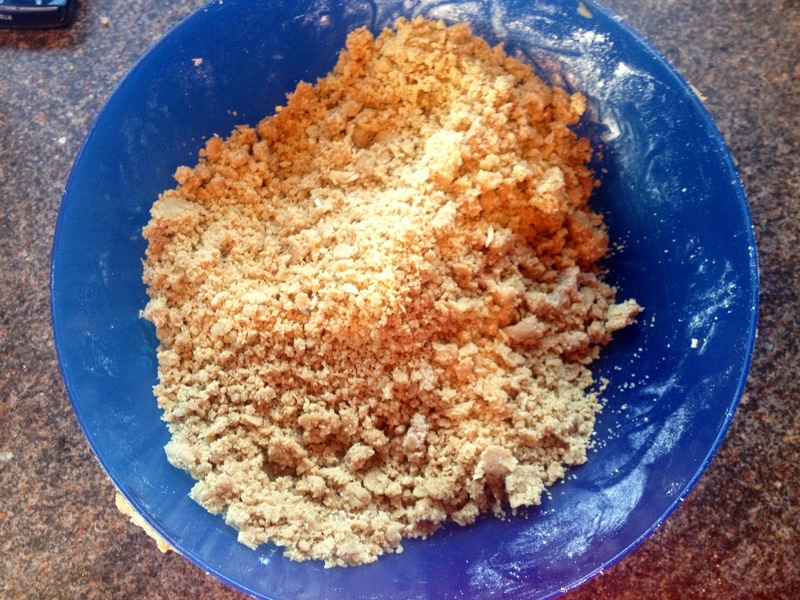 Add the butter cubes to the mix and rub the butter and dry ingredients together until the mixture resembles breadcrumbs. 7. 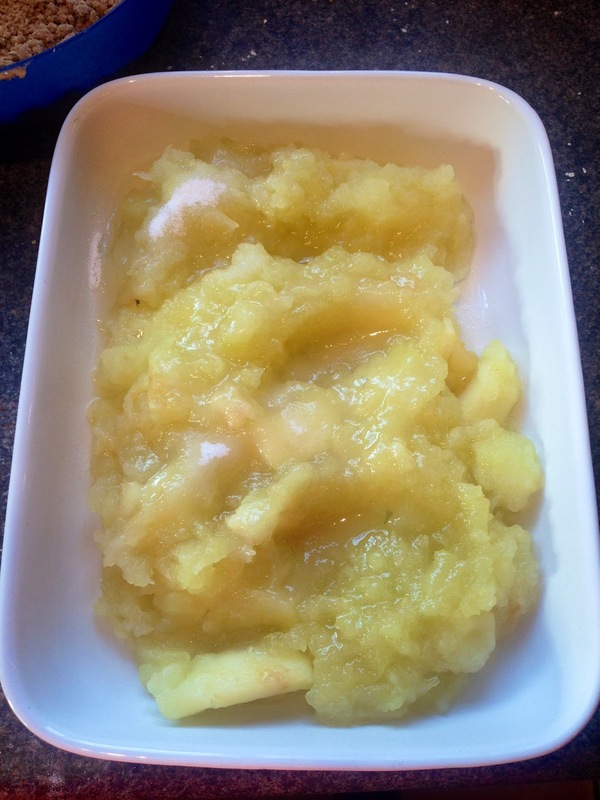 Pour the softened apples into an ovenproof dish and sprinkle over with a layer of caster sugar. 8. 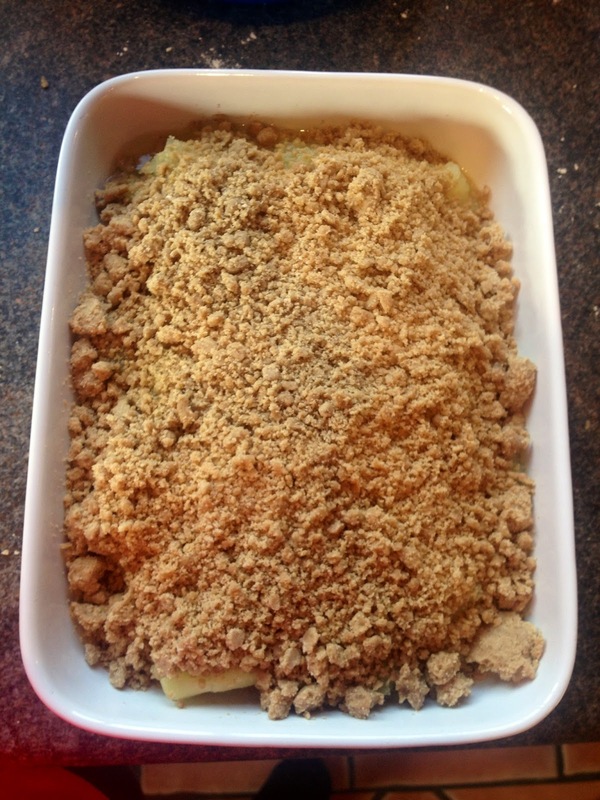 Cover completely with the crumble and bake for 25-30 minutes. 9. Serve with custard, cream or ice cream, which ever you prefer.